The benefits of our program have many layers, but we affirm that our organization is succintly player focused. The 'Competitive Soccer Program', in general, is an operational venue that provides a significantly higher level of competition. The purpose of QVSA United is to promote and develop the sport of soccer at the youth level, by providing avenues of participation at various skill levels in order to meet the needs of the players within the Club. The Club will maintain competition and tournaments teams for the more advanced players within the recreation leagues of Brooklyn, Canterbury, Killingly and Plainfield. QVSA United shall be affiliated with the Connecticut Junior Soccer Association, Inc. (CJSA) and shall at all times abide by the rules and regulations of the CJSA. QVSA United mandates that good sportsmanlike conduct is an imperative and absolute requirement from all the members of the Board, coaches, players, parents, spectators and referees on all occasions and without exclusion. We strive to set forth a standard of sportsmanship that is exemplary in the youth soccer community. 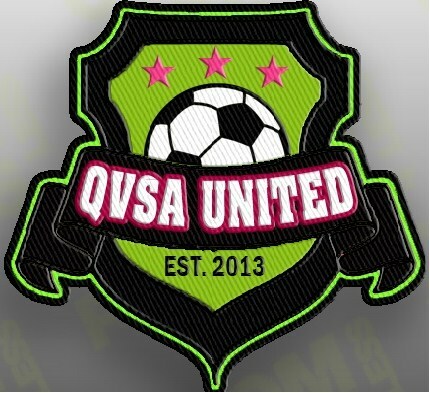 Copyright 2013 QVSA United. All rights reserved.